In addition, the exact path of the insurance workflow process depends on certain factors, which need to be documented properly. For instance, whether the current insurance certificate is on file with the vendor will determine what the next step in the claims management process flow will be. Every employee in the workflow path must know what to do next, but there are times when what to do isn’t defined clearly and that can affect speed. Other challenges include claims that mistakenly were not submitted, claims taking too long to be processed, managing claim values, and claim communications. Communication issues tend to plague all insurance company processes. Many of these issues can be resolved by streamlining the insurance workflow process. By automating the procedure as much as possible, the path is clear. Having a specific procedure can also involve certain employees having specific permissions programmed in insurance management software. This allows them to work only on the tasks that they are assigned and nothing more. This resolves the issue of when employees tend to feel that they need to carry out more steps than they should rather than passing on the task to the next person in the claims processing flow. On the other side, an employee may pass to the next person too soon, causing the claim to be sent back. This can cause a hiccup in the process. 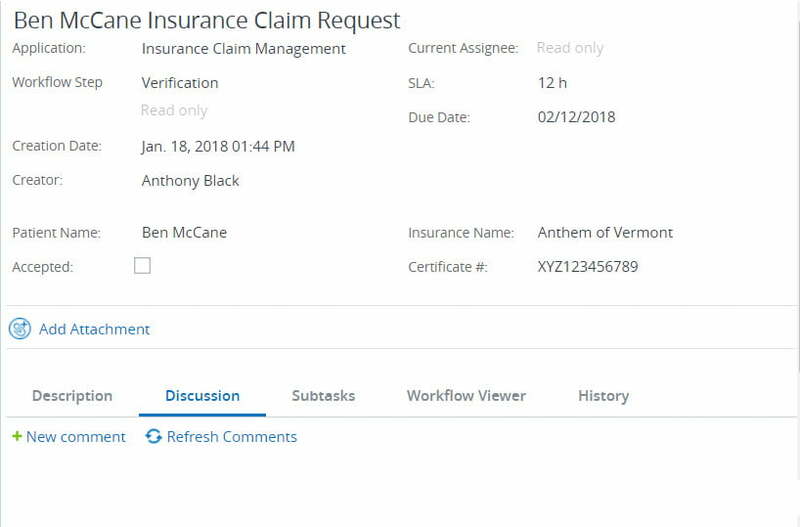 When a claim is entered in an insurance workflow automation system, the process begins. Whether one person or three people work on the same claim or other application, everyone knows what they can and can’t do. This lends itself to better efficiency. When the insurance claim hits the program, everyone can start working. When done with one application or claim, they can move on to the next immediately. This allows more claims and other insurance matters to be processed faster. Streamlining the claims process means everyone will know what is going on so that claims values can be managed better. A customer is more likely to get a fair result when all aspects of a claim are carefully considered in an efficient manner. By automating an insurance workflow through a program that all relevant employees can access, everyone knows what is happening. Communication can be one of the biggest reasons why claims aren’t processed quickly or claim values are less than they should be. Permissions can be set within the workflow management program so that only authorized individuals can access certain types of information. Some people can have permissions so high that they could manipulate fields within the program to better benefit the insurance company. Others can have fewer permissions. This not only protects the company but protects each employee, as well. With shorter claims processing times, customers are more satisfied. This contributes to a better bottom line, which makes the investment in workflow management software well worth it. Comindware Tracker resolves many of the challenges and issues that insurance companies deal with. Companies can receive so many claims and other tasks, especially after a natural disaster, that the claims process can become a messy process. A 30-day no-obligation trial will help you see how much easier different insurance processes can be carried out in your company. According to Harvard Business Review, digitization of insurance business process model can result in turnaround time reduction up to 90% and help with reducing operational cost to as much as 65%. The key to excelling at digital business process management for insurance company is to ensure that insurance claims processing is integrated with the rest of your business strategy and it is still easy to adopt your IT system to new business needs. Comindware Tracker delivers incredible agility thanks to non-code adjustment of workflows in the course of work, ties together disparate systems to provide an entire streamlined insurance processing system.